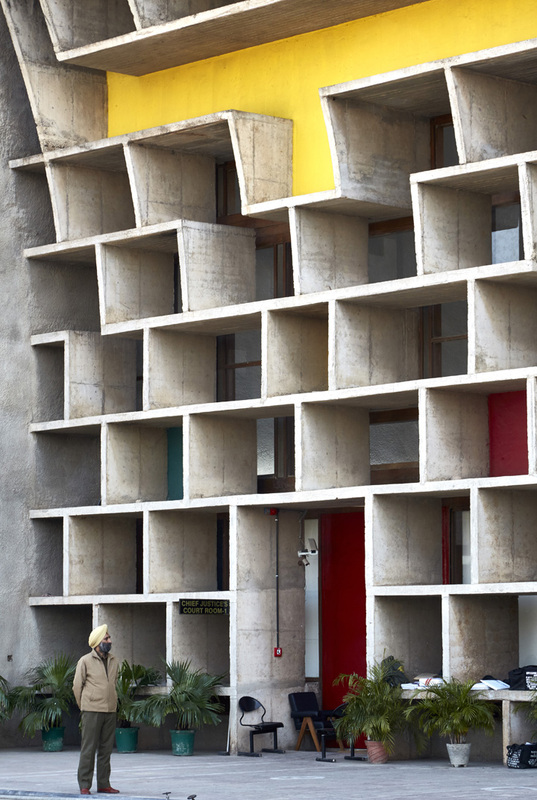 Palace of Assembly is a legislative assembly designed by architect Le Corbusier and located in Chandigarh, build around 1950s India. It is part of the The Capitol Complex, which comprises three buildings Legislative Assembly, Secretariat and High Court. This building was designated as a UNESCO World Heritage Site in 2016. Barristers outside Place of Justice. The Palace of Justice, Chandigarh, India. 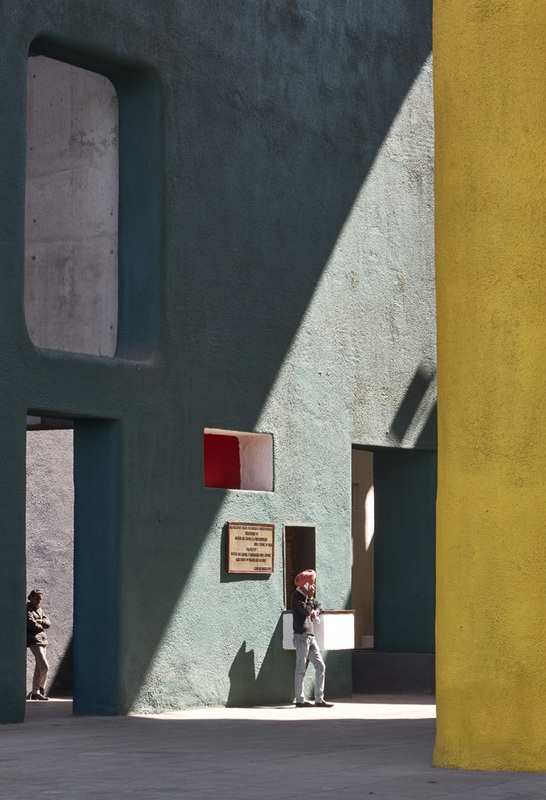 Architect: Corbusier, 1955. Figures leaning against colorful walls with strong shadow. The Palace of Justice, Chandigarh, India. Architect: Corbusier, 1955. Sikh guard at side entrance. 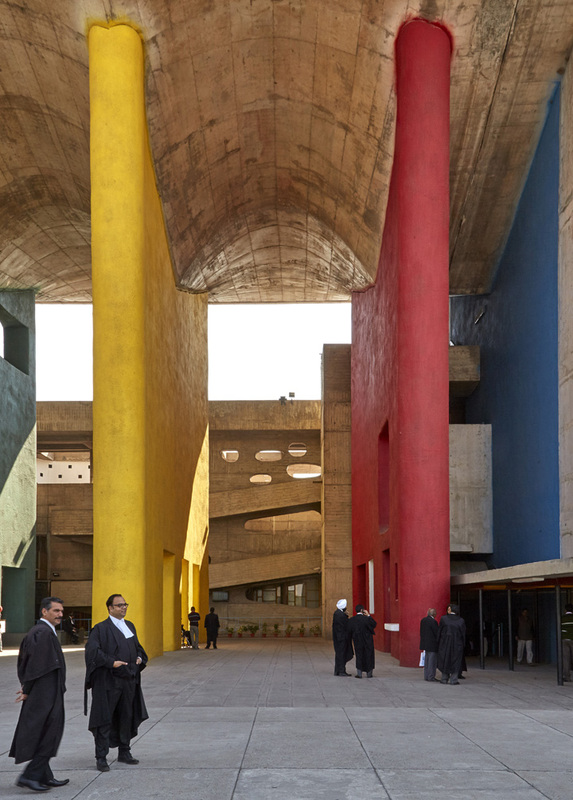 The Palace of Justice, Chandigarh, India. Architect: Corbusier, 1955.